On Friday October 6th 2017, Martin MacLennan, Helen and Rob Fairweather represented us at the annual awards night being held at the Westland Motor Hotel in Whyalla. Although in previous years, the showcase included only organisations from the northern parts of the state, this year organisations within the whole of South Australia were included in the judging. For this reason alone, our achievement in winning the “People’s Choice” category was so much more satisfying. Martin delivered a short speech on receiving our finalist certificate, and then later in the evening entered into a short on -stage interview with the evening’s MC after receiving our Winners certificate and trophy. (The significance of the hand blown glass pear becomes more apparent when one realises that this is the only fruit which thrives over our whole continent). Our trophies etc. will be placed on display in the Patterson building when it has been completed. Drag the pdf below to read. A historic Flinders Ranges township will receive a major tourism boost with support from a $63,000 State Government Upper Spencer Gulf and Outback Futures grant. A new cafe and a museum at Farina – 60 km north of Leigh Creek – will bring more visitors to the region, as well as providing a valuable resource for school field trips. The grant will support the first of two stages of construction, generating seven jobs. Farina is growing as a tourist destination, even though many of its facilities – including the post office and rail line – were closed by the 1980s. The township is centrally located to other nearby tourist attractions, including Wilpena Pound and the Flinders Ranges National Park, and is on the major route to the Marree, Birdsville, and Oodnadatta tracks. 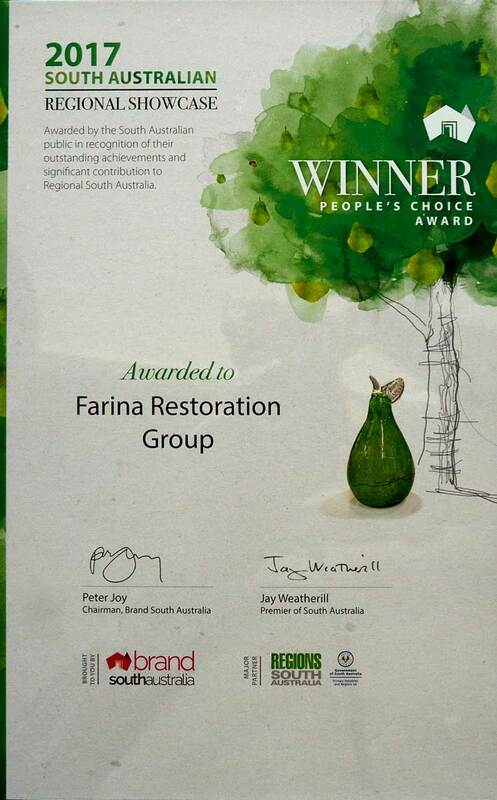 In 2010, the Farina Restoration Group was incorporated to redevelop the town’s tourist potential. The first building to be restored was the town’s historic underground bakery, which now operates in the winter tourist season. The $2 million Upper Spencer Gulf and Outback Futures Program is a once-off grants program, which opened in November 2015 in recognition of the challenges brought about by the downturn of the resources sector and the closure of the Port Augusta power station and Leigh Creek coal mine. The program supports the delivery of small projects contributing to the economic diversification, resilience and capacity building of Upper Spencer Gulf and Outback communities, creating sustainable economic benefits to the region and the State. This project aligns with the State Government’s economic priority of ‘Premium food and wine produced in our clean environment and exported to the world’ and ‘South Australia – a growing destination choice for international and domestic travellers’. These new facilities will provide an updated and enhanced destination for travellers to this unique part of South Australia. The construction of the cafe and museum will further develop the town as a tourist destination, as well as creating construction jobs for the region. 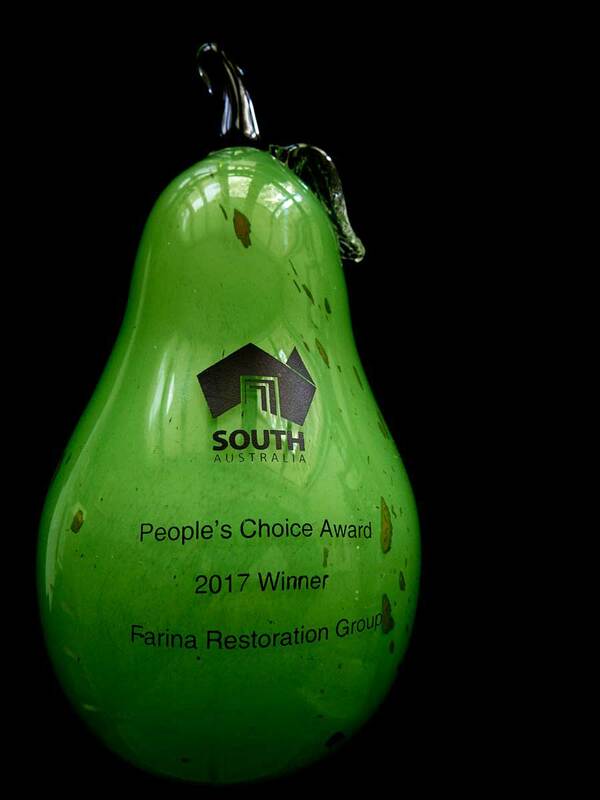 I congratulate the Farina Restoration Group on the great job they have done in realizing the tourism potential of the township and developing its attractions. This is the exactly the type of project we want to support through the Upper Spencer Gulf and Outback Futures Program. This grant will help us to really promote Farina on the map as a growing tourist destination by supporting the construction of a museum and cafe. Farina offers a premium food experience with bread baked in its unique, underground bakery. The traditional scotch wood-fired oven – which retains heat through the sand and stone structure – produces fantastic bread and pastry products on a daily basis during the eight-week winter tourist season. We’re excited about this grant, as it will allow us to move to the second stage of the expansion faster. The next stage will develop a new bakery training area in the redeveloped underground bakery which will offer work experience for trainee bakers. Tourists to our State are looking to experience and have exposure to our local history, Indigenous past and culture. This project will help to meet the ever-demanding quest from our students and visitors for more information.